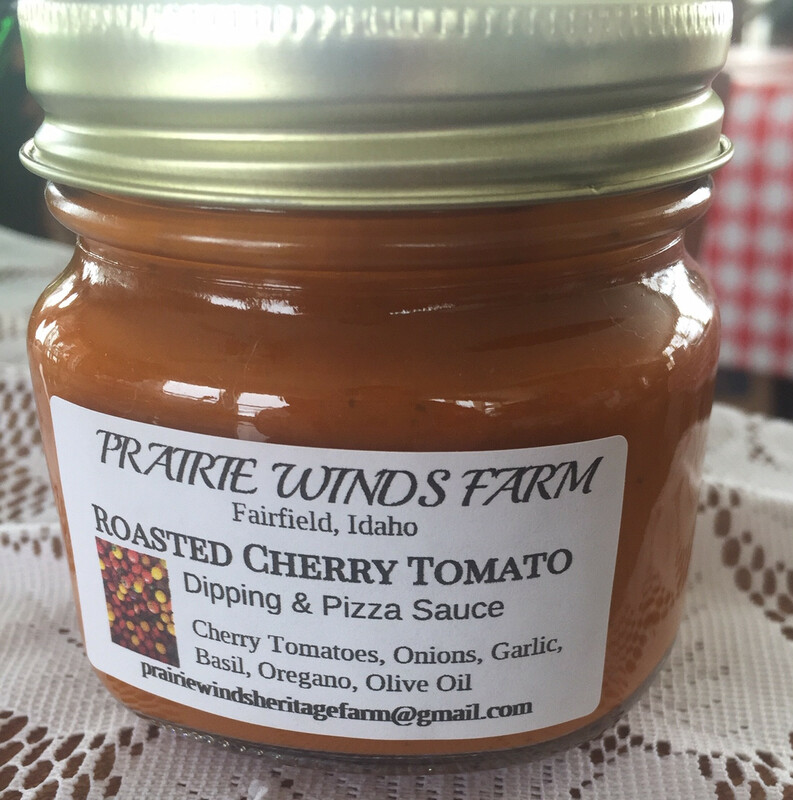 Prairie Winds Heritage Farm Heirloom Cherry Tomatoes and fresh herbs are roasted to bring out the wonderful tomato heirloom flavors. This sauce is wonderful for party dipping of mozzarella sticks, garlic knots and fish. It also doubles as a rustic pizza sauce for flat bread pizza.